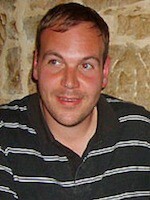 Christian Barthel is Topoi doctoral fellow and a member of Berlin Graduate School of Ancient Studies (BerGSAS). He studied History, Classical Archaeology, English Studies and Etruscology at Freie Universität Berlin and Università degli Studi della Tuscia in Viterbo. He received his master degree in 2011 with a study on “Spätrömische Verwaltung und Grenzorganisation in der Diözese Ägypten. Studien zur Gesetzgebung Anastasios I. und Justinians im 6. Jh. n. Chr.”. From 2012 till 2015 Christian Barthel participated in the PhD program “Ancient Languages and Texts” (ALT) at Berlin Graduate School of Ancient Studies (BerGSAS), where he received his doctor’s degree.